The Delhi Sultanate was a Muslim sultanate that was existed between the 13th and 16th centuries. Based in Delhi, the territory of the Delhi Sultanate was mainly confined to the northern part of India, though at its peak, it was in control of much of the Indian subcontinent. Over the course of its history, the Delhi Sultanate was ruled by five different dynasties – the Mamluk Dynasty, the Khalji (spelled also as Khilji) Dynasty, the Tughlaq Dynasty, the Sayyid Dynasty, and the Lodi Dynasty. When the last sultan of the Lodi Dynasty was killed in battle, the Delhi Sultanate came to an end and led to the foundation of the Mughal Empire. Prior to the establishment of the Delhi Sultanate, Muslim armies from Central Asia were regularly raiding the kingdoms of northern India. This trend continued until the reign of Muhammad of Ghor, the Ghurid sultan who sought to establish a permanent Muslim state in northern India, instead of merely pillaging these lands. Muhammad of Ghor had no sons, and when he was assassinated in 1206, his empire was divided amongst his Turkic slaves. 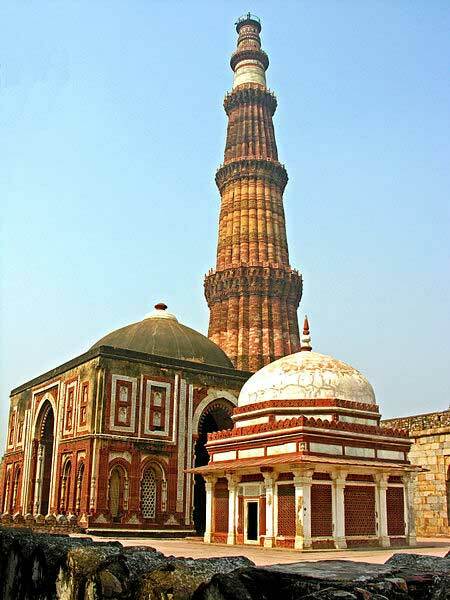 One of these was Qutbu I-Din Aibak, who became the ruler of Delhi, thus establishing the Delhi Sultanate. The first dynasty of the Delhi Sultanate has been referred to as the Mamluk Dynasty, also known as the Slave Dynasty, or the Ghulam Dynasty. This dynasty continued Muhammad of Ghor’s expansionist policy, and by the middle of the 13th century, the authorities were the masters of northern India from the Khyber Pass in the west to Bengal in the east. The Mamluk Dynasty came to an end in 1290, as there was in-fighting amongst the nobility, and its last ruler, Muiz ud din Qaiqabad, was assassinated by Jalal-ud-din Khalji, who founded the Khalji Dynasty. One of the most remarkable figures in the Mamluk Dynasty was Razia Sultana, one of the very few female rulers in Islamic history, and the only one to have ruled the Delhi Sultanate. The second dynasty of the Delhi Sultanate was the Khalji Dynasty. Founded by Jalal-ud-din Khalji, who had been a vassal of the former dynasty, the Khaljis ruled the Delhi Sultanate until 1320. Although this dynasty lasted for only 30 years, they were mighty conquerors who extended their rule into the Deccan. Additionally, the armies of the Khalji Dynasty were able to reach the southern part of India, and the major Hindu kingdoms there were reduced to tributary states of the Delhi Sultanate. The greatest achievement of the Khaljis, however, was in their war against the Mongols. Thanks to their military might, the Khaljis were successful in repelling several major Mongol offensives. Like the Mamluk Dynasty, the Khalji Dynasty also came to an end when its last ruler was assassinated. The assassin was Ghiyath al-Din Tughluq, who, like Jalal-ud-din Khalji before him, founded the Tughlaq Dynasty. It was during the reign of Muhammad bin Tughluq that the Delhi Sultanate reached its greatest extent. Nevertheless, this lasted for only a short period of time, i.e. from 1330-1335, as numerous revolts resulted in the loss of much territory. Moreover, the Tughluqs made no attempt to regain these lost territories. Thus, in 1347, for instance, the Muslim aristocracy in the Deccan were successful in throwing off the Delhi Sultanate, and established the Bahmani Sultanate. Further south, the Hindu Vijayanagara Empire was established in 1351, following its independence from the Delhi Sultanate. 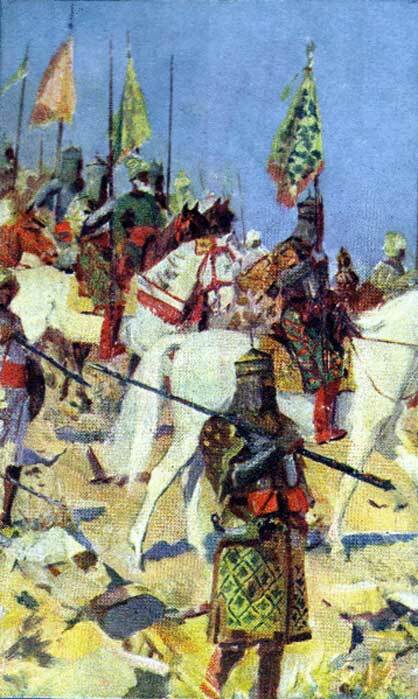 In 1398/99, the Delhi Sultanate suffered its greatest defeat at the hands of Tamerlane, and Delhi itself was sacked. The Tughluq Dynasty continued to rule until 1413, after which it was replaced by the Sayyid Dynasty. Politically speaking, this dynasty had little achievement of note, apart from the strengthening of Islam in the Kashmir region. The last dynasty of the Delhi Sultanate was the Lodi Dynasty, whose rulers were of Afghan origin. The founder of this dynasty was Bahlul Lodi, who had served as the governor of Punjab, and seized power when the last Sayyid ruler died in 1451. 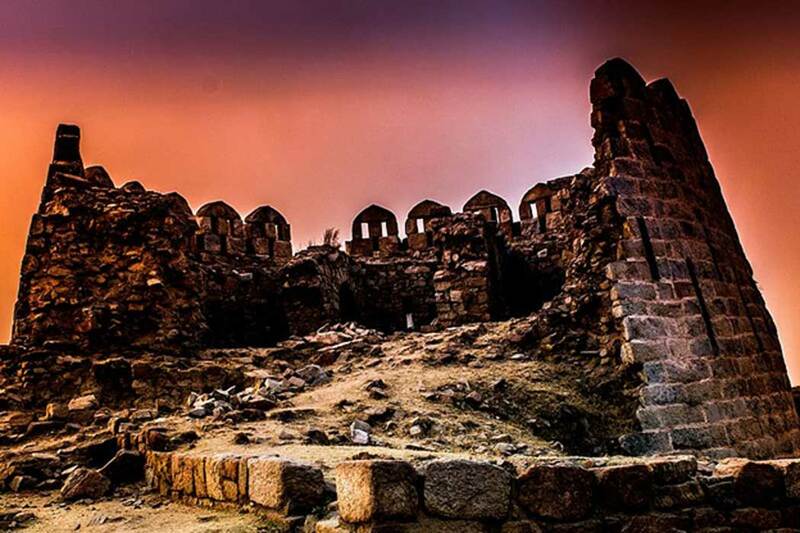 The Lodi sultans were unable to stem the tide of decay, and the Delhi Sultanate finally came to an end during the reign of the dynasty’s third ruler, Ibrahim Lodi. 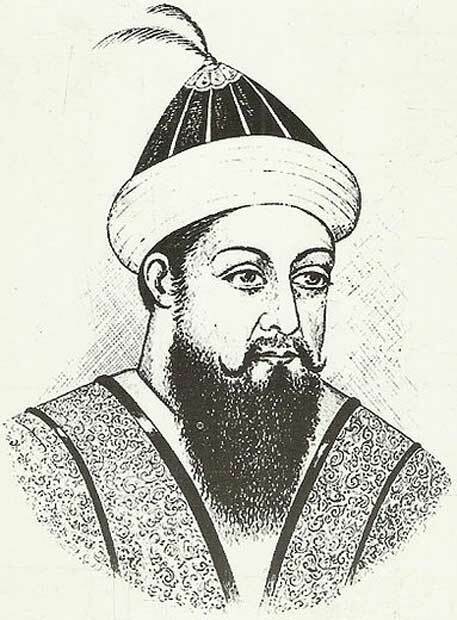 This sultan is recorded to have been weak and corrupt, and one of his regional governors, who was also a member of the ruling dynasty, actually invited Babur, the founder of the Mughal Empire, to invade the Delhi Sultanate, thus bringing it to an end.